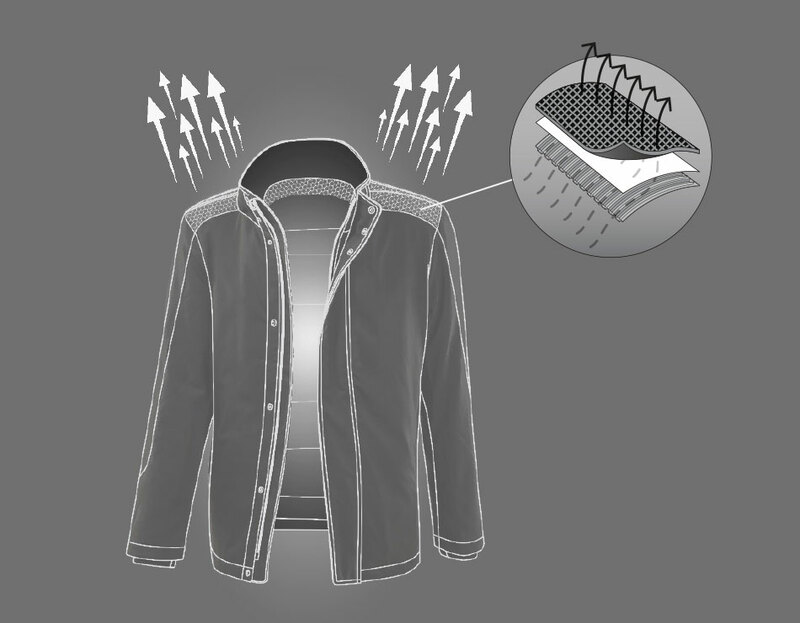 Women’s breathable jacket with water-repellent treatment. Women’s breathable jacket with water-repellent treatment. Romantic and feminine thanks to the ruches on the collar, this jacket is also super-comfortable and high-performance and that’s all down to the exclusive Geox Breathing System that provides superior breathability. Coming with a slim fit, it is made in beige polyester with a showerproof treatment, allowing the wearer to look feminine even when it rains.